We invite you to a Lunch & Learn event where we will present a summary of the various CAV activities being implemented, as well as those which are planned. 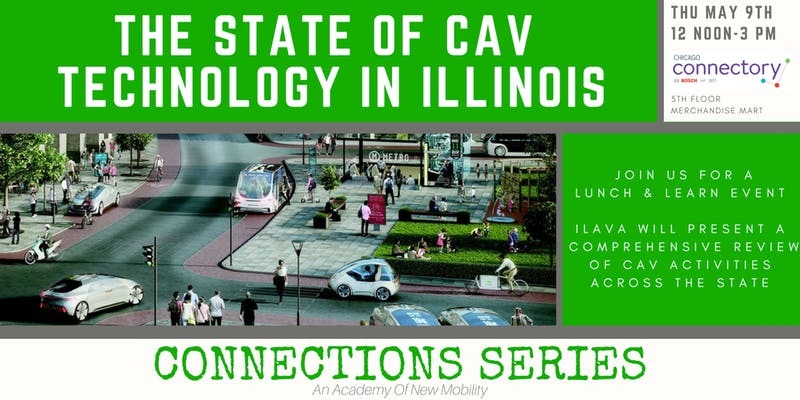 Over the past 18 months, the Illinois Autonomous Vehicles Association (ILAVA), in collaboration with its Board, its members, and its partners, have worked to create a focused voice/view of the CAV ecosystem in Illinois. Come find out what is being worked on, what you might want to get involved in and meet many of the entities who are leading the way here in Illinois, pioneering various CAV technologies.